discard all trainers, supporters, and stadiums in play. Discard 2 energy attached to each of your pokemon. 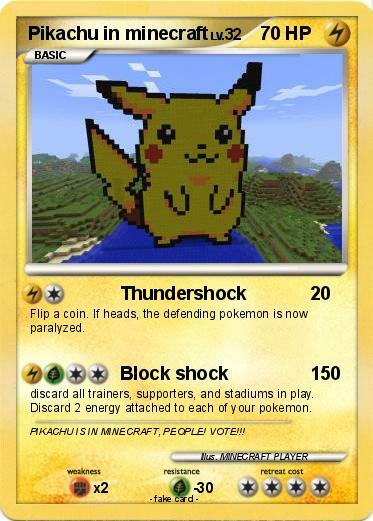 Comments : PIKACHU IS IN MINECRAFT, PEOPLE! VOTE!! !